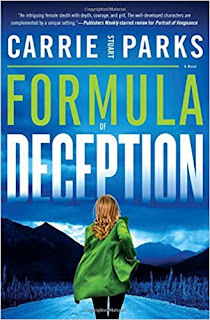 Formula of Deception tells the story Murphy Anderson, an artist who has changed her appearance and name and moved to Kodiak, Alaska, after her sister was murdered. Murphy unexpectedly slips into work as a forensic artist with the local police department. She becomes involved in a mysterious case involving a remote World War II Quonset hut in Alaska. And then she learns that her sister's killer is on the loose. I was intrigued by this novel from the start. The World War II period mystery in the story and the Alaska setting made me want to read the book. This is such a fast paced and suspenseful novel! I began reading Saturday evening and finished Sunday afternoon because I could not let the book go until I knew what happened. Murphy is a fascinating character. I like the way Carrie Stuart Parks introduced more details about Murphy bit by bit, including some real surprises. The pacing of Formula of Deception is exceptional. It is so fast paced. I am usually a leisurely reader who reads an hour or so at bedtime. This is a novel that demands more. I'm glad the author included a family tree at the beginning of the book. I bookmarked it and referred several times to the character history in that tree. 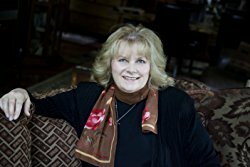 I have never read about the work of a forensic artist before and found that aspect of the novel unusually interesting. The author has a background as a forensic artist, and the details of this work were fascinating. There are many twists and turns in this novel as the story of the World War II era mystery, the current day implications of those events, and the murder of Murphy's sister all unfold. Every time I thought I knew the answer there was another surprise. The ending denouement was so unexpected! I highly recommend Formula of Deception for fans of fast paced, exciting mysteries, and especially for anyone interested in Alaskan life.